Cockroaches, ants and stored product insect pests not only contaminate food products but also spread bacteria. This can lead to damaged stock, contaminated products and the loss of reputation and avoidable costs. Due to the small size and mobility of insects and mites, making any building pest proof is extremely difficult. Points of entry for pests must be located. These are imperative if pest free conditions are to be maintained. Housekeeping plays a vital role in the control of insects’. At Europest we follow three fundamental principles when controlling insects which we call ERD. The fitting of brush strip to gaps at the bases of doors and roller shutters, to the sealing of holes around waste pipes. Doors and windows which are opened for ventilation may allow insect ingress into your building may be fitted with insect screen doors or fly screens to allow ventilation. We endeavour to carry out regular surveys to advise on methods to reduce the risk of pest entry. We are able to help and advice with any proofing requirement. Providing the right advice with regards to the causes of insect activity .Overflowing refuse containers, exposed food sources, spillages , broken drain covers ,contaminated packaging are a few of the many contributing factors which may encourage and introduce insect activity and possible ingress into your premises. The importance of a good working relationship with your suppliers is imperative when implementing a pest management programme, as insects may be inadvertently be introduced into your premises via packaging and contaminated goods. If internal insect control is required we utilise the most efficient up to date methods in control. From reactive treatments, flying insect control units to monitoring and prevention, we endeavor to do this discreetly and professionally with the least disruption to your business. 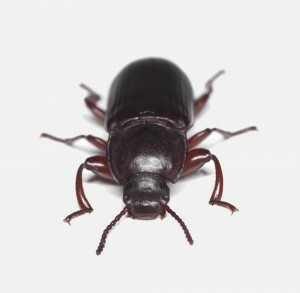 Cockroaches may be found throughout the United Kingdom with a preference for warm indoor environments such as restaurants, hospitals, prisons, blocks of residential flats and other institutional premises. Cockroaches can carry pathogenic organisms such as Salmonella and Staphylococci. Mainly nocturnal, an established infestation can be very difficult to control. Cockroaches lay resilient eggs called oothecae in difficult to reach places, which may hatch out sometime in the future. Each egg can hold up to 30 cockroaches. The Oriental cockroach is a poor climber on smoother surfaces which may limit their activity within a building. They can tolerate the cold and may be found outside buildings in sewers, external brickwork and drains etc, an important factor which needs to be remembered when attempting to control. 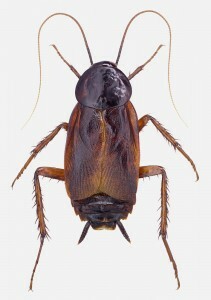 The female oriental cockroach carries her oothecae for approximately 30 hours, and then deposits it near to a food source. The Oothecae hatch will hatch in about six weeks, but in cold conditions it can take much longer. One female may produce 1-8 oothecae in her lifetime with 16-18 eggs in each. The Development from an egg to adult can take between 6 months to 2 years. The German cockroach may be found throughout buildings, they show a preference for warm and humid areas. 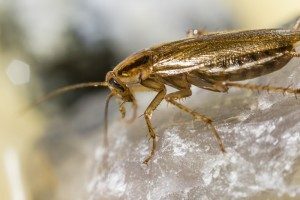 German Cockroaches are excellent climbers compared to the Oriental Cockroach. Once established in a premise an infestation can spread very quickly. The female German cockroach can produce 4-8 oothecae during it’s life time, each of which approximately contains 18-50 eggs. The development time of an egg to adult is usually 1-3 months. The black ant commonly enters houses. Their nests are usually found in soil, but also burrowed deep beneath paving stones and concrete. Indoors infestations can arise at any time of the year, with the worker ant often found foraging for food in restaurants, pubs and domestic houses. Europest are able to assist with all types of stored product insect activity. Our service team are trained to identify the tell tale signs of moth and beetle activity by monitoring and checking for moth webbing, damaged and contaminated foods, the exit holes in grain. We use the most up to date monitoring techniques to check your premises for stored product insect pests and can advise on housekeeping and other contributing factors which could cause your business the loss of valuable time and money.